A couple of days ago an old friend came to visit: Rheumatoid Arthritis fatigue. All of a sudden on Monday afternoon, it felt like it was 2 a.m. and I should be in bed. It looks like it may want to stay over for awhile. At first, I thought I was just over-tired. That evening when I fell asleep early, I blamed the half glass of wine with dinner. The next morning, I was blaming myself for working too hard – intellectual not physical work, mostly. Does Rheumatoid Arthritis fatigue feel like being tired? It feels like some thing is pulling me backwards. It’s not the stiffness that makes moving extra difficult. Or the ice-pick pain or tenderness I have in every joint. It’s neither depression nor hopelessness. It IS SOMETHING that making gravity stronger. Like most of us, I’ve lived on both sides of the fence. This is not the same as being tired. It’s more like being sick with the flu. I can remember the “good” feeling of tired after working hard. This is not it – this is being sick. And hopefully it won’t last too long. Over the past few years, I’ve had almost daily fevers. But fatigue comes and goes. I swear this disease has a mind of its own. Seriously, that’s my precise explanation for Rheumatoid fatigue: It attacks whenever it chooses! But, I’m a warrior and I know I’ll get through this. I’ll eat healthy and take vitamins and meds… Through a combination of rest and pushing myself, I’ll outlive this like I have every time before. NOTE: Yesterday, I sent out THE SPEAR, a monthly letter from me. Please check your email inbox for your copy. Or if you haven’t signed up, you can sign up here. It’s a short behind-the-scenes and from-the-bottom-of-my-heart personal note. Postblog: In the midst of my too busy too tired day, I was treated yesterday to a Skype visit with Lisa Copen of Invisible Illness Week. 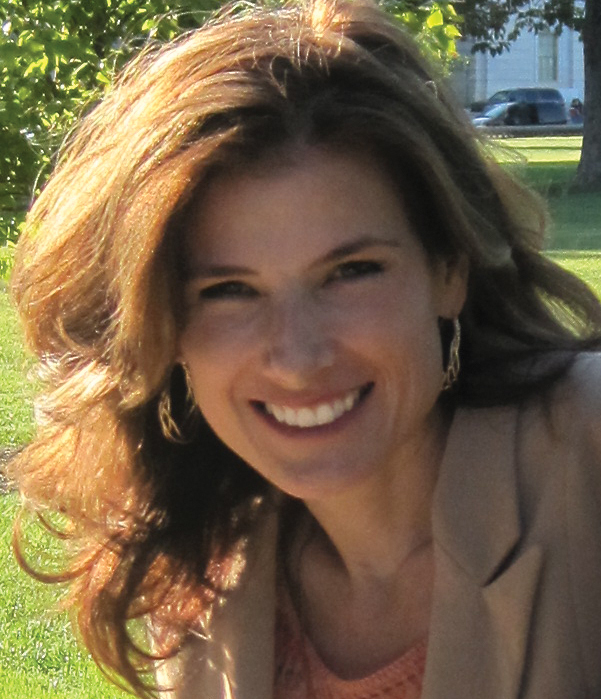 Lisa has RA herself and founded IIW several years ago as part of her mission to help others who are suffering. Lisa also interviewed me for her virtual conference which will be broadcast September 10-14. Check it out! What Causes the Rheumatoid Arthritis Fatigue? This is the most accurate description of RA fatigue I have ever seen. Thanks, Kelly! Kelli, this post could not have been more timely for me. I could not get out of bed this morning. Several weeks of extreme stress at work caught up to me. I.was 2 hours late.getting in to the office and now thaf I’m here, I’m brain dead and numb. Not fun. I know I need to relax, this will pass, but in the meantime I need to struggle through. Thanks for reminding me I am not alone. Fevers and fatigue, yes. All week I’ve felt like I’m mired in cement. Now I understand. Thank you, Kelly. How timely! I’m having some new symptoms along with my current flare, and of course the fatigue rides along for the fun. My issue is I get very very brain and bodily fatigued, but I don’t sleep very well. I’ll feel like I’m too tired to even lift up my arm to do something, and my brian filled with fog, but if I laid down I couldn’t sleep. As I struggle along with my 2nd week of debilitating fatigue, I checked RA Warrior for an answer. Thank you again for your insights. I was just wondering if there is some relationship between allergens such as mold, which are high at the moment for most areas of the US? I was even wondering if my last batch of Enbrel was bad because I have not received any relief this week, like having an answer of why I feel bad will make me feel better. Maybe it will? I too am suffering from debilatating fatique this past week. I just took my first shot of Enbrel last Friday. I think my body is flaring as a reaction to the medicine. I was wondering how long it took you to realize the Enbrel was working? Thanks for your time and wishing gentle hugs…..
Janet – I’m on enbrel and have been since 2008. I noticed pretty quickly that it was going to work for me. Within a couple of weeks I knew that it was a good biologic for me. Prior to that I’d been on Humira for about 8 months and that never ever seemed to work well. I also spent many years on Remicade which worked almost instantaneously. Ultimately it seemed to lose effectiveness after about 6 years. Good luck. Be patient! My mom suffered with RA from age 40 to her death at 82. She always said she hated the fatigue more than the pain! ME..I hate BOTH! Thank you Lord, for I am NOT alone!!! It is good, yet bad for all of us, that I’m reading everyone is suffering from horrible fatigue like I do. The fatigue has been a big problem for me since March!!! I’m beginning to think something else is bad wrong with me! Why do I feel like my limbs are noodles and I can’t seem to muster up energy to even get a shower?? It’s horrible. It is like having the flu all the time. This past week my RA flared bad, both wrists swollen and so stiff, fingers swollen, feet, toes, so my rheum had me increase my prednisone to 15 a day with 5 of that before bed. Then the next day was my Enbrel inj….so this morning I woke, having that horrible fatigue fog slightly lifted!!! So, after getting my son off to school I did my next injection and it was amazing that I actually had energy today!!! So I took advantage while I had it and cleaned my living room carpets!!! LOL….we will see if I pay for it tomorrow!! It’s just been nice to have that feeling of wanting to do something. I really feel for those of you that have constant visits from Ms. Fatigue!! She’s a permanent visitor here. It’s hard to hang in there isn’t it?? No one understands this either!! Not my mom, my family, my husband, kids, etc. That makes it hard. Hang in there warriors!!! It is TOTALLY like gravity is stronger; I’m so glad you put it that way! I don’t know about anybody else, but it gets me in the hips and the shoulder girdle, like something is pressing down on me and making it harder to move. People don’t understand that when I say I’m tired I don’t mean I’m sleepy – they always tell me to take a nap! It’s not that, its feeling like you’re carrying an extra 50lbs on your shoulders. My husband understands that when I say I’m tired I mean I can’t move, but my brain is still going strong and I’m not sleepy! Don’t tell me to take a nap! I can relate….if I hear take a nap one more time I’m going to scream. Reposted to Facebook, hoping some of my husband’s family (that has blamed him for getting RA)will finally get it. Bless you! Good Kathleen. That is so wrong – this is so common – not only we get this disease, but because it’s invisible and people don’t understand what it is, we get the blame too. So ironic when it’s one of the diseases that a person can do nothing at all to prevent – most of us were healthy and active when this disease just slammed us from behind. I hope they listen. So far…nothing. Not surprised but it has become harder for me to have a good relationship with narrow minded people who would rather not become informed but judge him instead. The best man in the family…even his Mother said so before she died. No surprise! It may take time. Have you ever taken a post from this site like this one and clicked the email button below the post? There are those in my own family who don’t get it too so I know how it is – I think most of us do. But there are also those who do get it or have learned – my best friend who reads, wears a t-shirt and gives out my card! And my mom who now reads all the posts in her email box & cheers me on. It means so much, but she learned little by little by reading the blogs. and by the way – he’s so lucky to have you. ♥ I know it must be a huge help to him. Thank you, loved this man since 2nd grade, it is a good thing. We are going through my issues now too, what a team of supporting each other! Janet, I am the exact same as you. The fevers and fatigue. I ran fevers two days last week. Both of those days I was like Kelly said, gravity just pulls you down. The fatigue has really beaten me down. I am one who stays busy all day doing something. I mean I used to paint a room in a day just because I was bored! Now I can’t even make the beds during the week or get any laundry done. It’s not me at all to be this way. I can’t stand clutter and not feeling up to cleaning house has been hard for me. Kelly, I copied two of your articles on fatigue and emailed it to my mom so she could read. I’ve showed a few to my husband too. I just feel like no one really gets how bad this is. With the wrists swelling and being painful its hard to do much. Then you top it with fatigue. I am planning on spreading the word of RA awareness to my family and friends in hopes they will realize that I don’t have just “arthritis”!! It helps to talk to you all so much. It was great today to have some energy to do my cleaning!! Oh, Janet, I’m on my 6th injection and i could tell last Thursday and today that my wrists were better!! So I’m praying its gonna work!! Take care and God bless!! My hubby can no longer tell the difference between when I’m sick and when I’ve been hit by fatigue. I guess it shows on my face and in my posture and I will literally look ill when the fatigue is at it’s worst. What I can’t deal with very well is the anxiety the fatigue creates. My body will be screaming at me to rest but I can’t, I just have to much to do and the thought of having to make dinner, help with homework and showers and let the dogs out and pick my oldest up from work…..sometimes I just want to drop to the floor where I stand and cry. The fatigue creates a rift between my physical needs and the needs of my loved ones and the feeling of being torn between the two is what I can’t cope with to well. That description says it all. I say it feels like something is actually physical dragging me down. It’s impossible to focus on anything & sometimes it’s a struggle to even stay awake. Thanks for putting it in such simple terms! I can tell you the worst possible part of my RA has been my fatigue. Not the pain, though that’s darn awful. I cry sometimes. I scream. I whimper and moan. My daughters can’t hold my hands. I can barely sleep some nights for the pain. Not the changes in my body, and I weep when I see my hands. I do, because I have always loved my hands. Not for the systematic attacks my body is fighting on itself. Not my worries for my early death, my liver, my blood tests. That’s rough, but for the most part, I roll with it. The fatigue tries to drown me. I sink and sink and sink again. It tries to pull me under these waves and I often lose to it. We have tried countless ways to combat it. I am fighting still. The only thing that makes people understand is when I say, look, have you ever slept 23 hours out of a 24 hour day? Because I have. Have you ever been afraid of dying, or hurting your children or other people around you, because you shouldn’t be driving due to fatigue? Because I have. And when they say, but at least you are rested when you wake up, I have to sigh. I sleep more than seems humanly possible. I wake up tired. Fatigue is my worse bete noire. It is my biggest battle. But I have been taught how to be a warrior, and I refuse to give up! Jennifer, it is the worst part for me too. I have been battling it since my 20’s and the doctors didn’t care. It’s worse now that I have full blown disease than it was then. Everything you wrote is completely accurate. People don’t understand why I don’t drive very often and schedule my appointments so my bf can drive me. Only one in my family has bothered to offer to drive me or come over and help with household chores. She is almost 80 (my grandmother) so I feel really bad about taking her up on it. This is a very isolating disease. I am sorry that you go through the same fatigue crap I do. It truly is the worse part! I hate when the fatigue hits full force it is all I can do to stay awake back 8pm and I do not work – I am now on disability. There have been weeks at a time when I need to have a 2 hr sleep in the afternoon just to try to stay awake until 10pm. You would think with all the sleep I would feel better but no it doesn’t work that way. Michelle, thanks for the chuckle, yes, let’s get that gravity back to normal and we’ll all feel better! I recently aquired a “bug” that was going around and became very ill for 3+ weeks. Newly diagnosed with RA in Feb. of this year, I often times experience the pain and fatique, but what hit me most recently was completly unexpected. Due to the illness, I had to stop taking my MTX. I guess you never really know what it is doing for you until you stop taking it. My PCP put me on Prednisone as well as other antibiotics to fight this “bug”. I hadn’t taken my MTX in weeks and my last does of the 7 day supply of prednisone was quickly running out. My last dose was on a Friday and come Monday morning I couldn’t move! I literally could not move because I was in so much pain. My hips and knees we on fire and it felt like shards of glass had invaded my joints. The pain was so intense that I had to resort to pain meds. These barely touched the pain. Aside from the pain, the fatique was unbearable. I was so tired and weak but laying down on the bed was so painful. I would literally stand and lean against my dresser just to catch my breath. It’s hard to explain this to my husband, he can’t “see” where I hurt.And it can be even more frustrating when you hurt and someone asks “Why?”. I am now back on the MTX and was actually able to workout for 45 minutes on my treadmill. I hate to be so incredibly reliable on meds, but this last episode has made it very clear what role they play and where I’m headed with that. With no health insurance and recenlty laid off from my job it’s hard knowing there are other drugs out there that will help tame this monster inside me, but they are out of reach. Yesterday was my wifes one year anniversary with RA or I would say RD because the minute you say arthiritus, rheumatoid disappears and they say hope you feel better tomorrow. My family has no idea what my wife is going through and every time I speak with them they ask how she is doing. I give them the same answer and end it with one day at a time. Fatigue has been the biggest adjustment for her and hardest for her to deal with. She wants to do everything her self and take the kids all over the place but can not. She has been on Enbrel close to a year and she saw a difference after the first shot three days later and a couple of weeks the swelling went down. The methotrexate is the one that makes her feel bad for one to three days. Top that off with fatigue and it adds to the stress. She is trying some natural energy drinks (Zeal) to see if it helps. 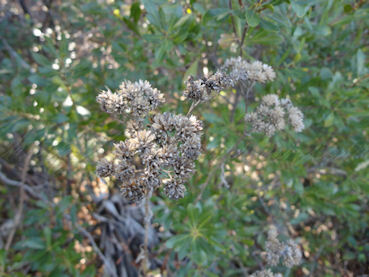 Her doctor says it has a lot of ingredients that helps reduce swelling and it is loaded with vitamins. She is trying anything to give her one more hour of energy before crashing (at 3:00 pm). Last thing. If people care about you then they will find out what is rhemadoid disease. I can not feel what you all feel but my heart feels it and I read a lot so I can understand what RD dose to my wife and possibly my 2 daughters in the future. Agree with everybody!!!! The fatigue is awful. Its with me constantly, but even more so when I “overdue” it, which is like, if I go shopping or something, then I’ve overdone it, and the fatigue hits bad. I always say, the fatigue/fever is something that I wouldn’t wish on my worst enemy. Its a horrible feeling to feel so bad, yet to everybody else, you appear just fine. Ditto on all of these comments – amazing how we all concur on such simple issues yet where’s the treatment? i am so dependent on my spa and pool to help me through the rough patches. also lots of feather pillows to rest on – it’s the buoyancy and soft support that i love! the rest of the time i am on the go fighting through it – till i can’t go anymore. and nothing like a wonderful supportive husband who really “gets it” – i never have to justify anything! one thing – i never get ill – at 60, i have probably had all of the flus and colds by now. i gobble vitamins and herbal supplements from morning till bedtime and am fairly careful about my diet. so when i am “down”, i have no doubt what-so-ever of the cause! it is great to read everyone’s story – thank you all and esp you kelly for honesty and for bearing your souls. Jennifer, boy you hit it right on the head!! You said it perfectly.that’s exactly how I feel most days. What makes it even harder for me is being mom and main caregiver for my son Zachary, who has Down syndrome. I have to do a lot of things for him still. He’s now 17, but not 17, so I still have to fix his breakfast each morning, get him in the tub and help to get him bathed.some mornings I just want to cry as I’m leaning over the tub bathing him, washing his hair, when my wrists and hands are killing me. Then having two levels fused in my neck makes it tough. I try hard to take good care of myself too like some of you mentioned. I take vitamins, my extra vitamin D, drink lots of water and get up and moving when I can. I pray for each of you and pray for us all to continue to have strength and courage. We won’t let this beat us for we are warriors!!!! God bless you all. hi RAQueenie – i am so sorry for you – even though i am suffering as well, at times, i feel others’ pain more than my own! i thought i would suggest that you have a family member accompany you to your rheumatologist, mri readings, bloodwork, xrays and so on. my hubby accompanies me (and i him when he has issues). this keeps him in touch with the reality of the disease. you sound like a type-a, go get ’em personality so they will see you in this context and understand better how serious an issue this is for you. my thoughts are with you – best of luck! Hi Cecilia!! You are sweet, thank you. I too feel for others and think of others all the time. That is a good idea. I could get my husband to go with me to an appt sometime, he works so he can’t go all the time but I can get him with me here and there. My husband cares deeply, but I don’t think he fully understands when I’m having this fatigue how bad it really is. And my mom is supportive but after she calls to check on me 4 or 5 days in a row and I tell her I still feel bad she seems surprised and shocked I’m still down and not bouncing back. I have a few close friends that seem to care and be concerned and then there’s the ones that like others have said, they think taking a nap will cure it all. So, its hard. I have two brothers, one here in my state and one in CA and since they aren’t around me they don’t see or know how bad its been. And I never really hear from them much. There’s just times when you wished everyone did get it and at least let you know they care. I think too I’ve been battling the bad fatigue since spring now and its starting to get to me. It has helped though knowing I’m not alone and how I’ve been feeling isn’t just me, it is real. My son is such a sweetheart and even though I do a lot for him still he’s worth every bit of it!! He actually makes my days much better! He makes me smile every day and that makes me get through another day!! “It IS SOMETHING that making gravity stronger.” OMG, exactly. I can’t get stuff from the top shelf in the kitchen because my arms are too weak and I feel like I move like a snail. It’s the worst part of my RA. It is hard to say how much is RA and how much is anemia. Then there is the persistent ear infection I’ve had since July. I have mastered the art of bribing myself. I’ll clean up then read my book is my favorite. Then there is the editing of life in general. My kids still refer to the worst years of my RA as the Tater Tot years. Jenn, It is hard to help and know when I should step in and when to let my wife do what she wants to do. Every time I see her work I wonder if she is tired because of taking care of our two children or is it because she is having a bad week with all the symptoms every is describing in this blog and all the other sites Kelly has. She takes both the folic acid (every day) and on the day I inject her the methotrexate (in the back of her arm) she takes Leucovorin in the morning. She tried taking it 12 hr after the shot but instead of feeling bad for one day she felt bad for 2 1/2 days. She is suppose to talk to the doctor in a couple of months to request X-rays and MRI’s to see if there is still break down. To her she would rather feel bad that have the effects of fatigue. I agree with her. Methotrexate can increase fatigue. Perhaps the doc will suggest another med instead. Wow! And here I thought that my version of this disease was different! No one really ever talks about the fatigue! That fatigue is what forced me to give up a career in teaching a year ago, a career I LOVED! I was exhausted by the time I came home. I would hit the bed as soon as I came in the door, alarming most of my family. I was doing everything, and none of it well. Now, though, I am doing less, but what I do do is done very well. So, there is comfort in that. My fatigue feels like a school bus (while we’re on the topic!) is sitting on my chest. It is almost hard to breathe. It is bone deep and comes from the very core of you. My “flares” have more to do with the fatigue and less to do with pain. As a matter of fact, the fatigue is the worst symptom. But with less work stress, I can balance it better and stave off most episodes. This one came from taking care of my mom for 4 months following a knee replacement. I am glad I found this website….it is comforting to hear from all of you and know I am not alone in this solitary disease. Thank you so much for your support! The fact that, you too, had to leave your job gave me an odd sense of comfort. I am on MTX and Enbrel. The Enbrel is very helpful and I hope you find relief with it as well. I agree that if not for the fatigue, I would still be working. I can manage the pain easier than the exhaustion. And I also wish the drug companies would discuss the other side effects in their commercials. Rumor has it, they don’t because, although the drugs can handle the joint issues, they are inconsistent with the other symptoms and therefore, can’t claim to be a benefit. It is an area that needs much more research. Please hang in there as well! Be well! Jacqui, I’m so sorry you had to give up something you loved because of the dreaded “fatigue”….I too had to give up my job as a medical transcriptionist due to this disease. The fatigue has been my worst symptom as well. I have the typical flares in my wrists, hands and toes but the fatigue is the worst. I feel like if I didn’t have the fatigue I could handle the rest pretty well. It’s hard to push through this fatigue because it isn’t just a tired fatigue. It’s way more than being tired. I’m hoping soon things will improve for me as I have been on Enbrel injections for 7weeks. We will see. I hope you find ways to continue to get by. That seems like that’s what we do is try to find ways to get through each day. Hang in there!! It does help to know you are not alone or crazy!! Take care RA friend! Oops! My post to you is up in mine! New to this program! Sorry! Kelly, something hit me today while seeing a commercial for RA and a popular RA drug, talking about how RA affects your joints and joint destruction, showing the patient opening the fridge, grimacing in pain, but never is there mention how RA gives you this horrible fatigue to the point where getting out of bed is difficult. RA is shown as a disease that affects your joints, never is all the debilitating symptoms discussed. Why is this?? I’m learning everyday how so many other things are a part of this disease and it is just never talked about?? I don’t get it. 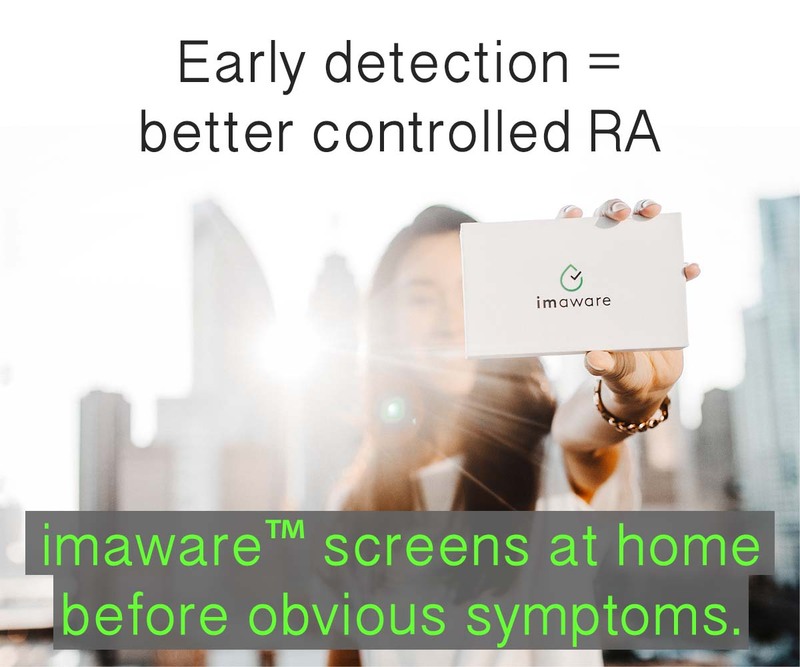 When people think of RA its always arthritis. I just wished that there was more awareness of RA and what it really is like. Maybe then people would better understand us that have RA. Going back through the new to me comments. There is nothing for the fatigue. I hear plaquinel can help some with fatigue, but that made me so sick…. When the drug companies find something that helps the fatigue though I am sure they will shout it from roof tops because they know it will sale. I’ve been having a BAD fatigue flare for about two weeks. And it started with being freezing cold for about two days (in Mississippi in Aug), which usually means I’ve got a fever. I’ve had dark circles under my eyes that made me look like a raccoon even after I had a week off of work. i would like to receive The Spear. I enjoy Kelly,s writing. I have severe R.A. And feel very alone with my disease. I can relate to the fatigue. Before I was diadnosed with RD, I was diagnosed with Chronic Fatigue Syndrome right after my dad died suddenly with a Massive heart attack (he had severe RD also and was on MTX). I woke up one morning with flu like symptoms and could not do anything for my self not even walk ten steps with out help. The fatigue and brain fog was terrible,Icould not even put a sentence together and had trouble with spelling and numbers. Finally after about 2 months that got better then the fever and fatigue kicked in again. I had chest pain, shortness of breathe and all from the fatigue, I cried and told my sister and best friend I was afraid I was dying and we needed to get everything ready (I am a funeral director). Then my BIG toes started killing my and the doctor finally took blood work after telling me for 2 years it was depression (never knew depression caused fever), two days later she called and ask if anyone in my family had RD (she said RA), I said read my family history, my mom, her mom, my uncle and my dad had severe RD. She told me my RA factor was out the roof and I had to see specialist immediately. That was 14 months ago and I have had lots of stress this week and the weather in Mississippi has been crazy the last 2 weeks so the pain, the fever and the relentless fatigue has been really bad the last 2 weeks. But i am a warrior so I know it will get better. Hopeing my Rheumy ups my MXT at 6 week check up to hel with the pain. And will approve my taking Folic acid daily with my Leucovorin the day after my MXT dose. goog grief rhonda – it is amazing that your parents’ rheumys didn’t suggest to have you checked out preventatively! so sorry for your struggle – i hope you have brighter days ahead. Jacqui, thanks so much for your kind words!! That means so much. The fatigue seems to be a big thing for a good bit of us. I had no idea about the fatigue being a side effect of RD until several months after my diagnosis. My doctor didn’t even mention it until I came back in to see him barely able to put one foot in front of the other. Here I was dragging myself around thinking it was just a side effect of medications. It was then the PA that actually mentioned fatigue being part of having RD and Sjogren’s. Then I researched it and found it on a lot of sites, then I started asking in blogs about it. It helps to know I’m not alone and that lots of us suffer with this horrible side effect. I have more fatigue days than I do energy days. So I don’t know if it will ever get better for me. My RD asked from day 1 about fatigue. I said I’m tired but nothing unusual and didn’t know why he was asking about it. After about 4 months I found out what the fatigue was and it only goes away with increased doses of prednisone. Some days are worse than others but it is normally worse than the pain. Of course being mentally and physically exhausted only seems to make pain harder to deal with. I’ve always thought that my fatigue and flu like feelings were just from the RSD I have. I did not know that RA has “flu days” too. Do your RA Flu Days precede flares, or begin them? Or do the days follow times when you overdue? It can be difficult (sometimes impossible) to stay even, so I don’t feel overdone. But ,I do find that the RA/RSD Flu and fatigue often begin my worst times. Some times my day feel like a ball of yarn. While I’m too tired to make something, the yarn is all unrolled and moved about into an unrecognizable mess. Soon my well planned day is unrecognizable. Do you have changeable schedules and various naps? Who ever says RA makes people inflexible is wrong! Gosh! That’s a hard question to answer! I think my fatigue days ARE a flare in their own way. There is absolutely no rhyme or reason to when they happen, but I do sometimes know the why. If I overdo, don’t take care of myself, get too tired, etc. I get hit. Interestingly, when I run my “phantom fevers” as I fondly (?!) call them, I feel better than when they break and I am normal. Then I am in pain. So I can usually tell when the fever has broken. I love your “ball of yarn” analogy, as I am an avid knitter and can SO relate! I agree with you that, yes, we ARE the most flexible people out there! We need to be excellent problem solvers, always coming up with a plan B, then C if necessary, to keep the train of life going! Hang in there! And keep untangling that yarn! :) Then, knit something beautiful with it! Hi, I agree with Jacqui, there is no rhyme or reason to everyone’s flares. I’m learning quickly with all you guys we are all different BUT same too. I’m learning now that when I do feel better and I decide to jump in and clean, for instance, my stove today, that an hour later my wrists and hands, knuckles, start screaming!! They puffed up and got painful. I landed in the ER last wed with horrible flares, bad headache, got loaded up on steroids and pain meds and back on high taper, now I’m actually waking in the morning with way less hand/wrists swelling. Until I decided to clean!!! Uuuggghhh. I just can’t believe how fast my wrists and hands screamed at me today. Have you all experienced this?? It’s so frustrating. I think hey I feel good I’m gonna clean, then I pay for it. I don’t know, I am trying to not feel so frustrated, but my diagnosis was in the spring and I’m still trying to understand RD. My hands and wrists weren’t my first signs, so dealing with the severity of it now is challenging. I’m learning after today, that no matter how my hands feel they are going to hurt. Hang in there everyone!!!! It’s so great to share!!! I read the articles and comments here, and I realize that I have been about as fortunate as anyone with RA can be. I haven’t had any pain in a couple of years. I do have problems with fatigue lately. Even then, it’s not all the time. It’s hard to find the energy to get out of bed many mornings, but then I’ll be fine for several hours. Sometime in the afternoon, though, it comes back, and lasts into the evening. Oddly enough, right before bedtime it goes away. My primary physician (an RA patient himself) tells me that this cannot be from my RA. Goodness knows that I am taking enough different pills that it could be a bad reaction to one or more of them. Firstly I have to say that I have learnt so much from this site and the RA friends on the FB page! My husband was diagnosed with RA last year, approximately a month after we got married. 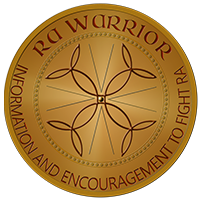 When reading and jumping around on the website, one quickly forget that RA Warriors have family to support them and that they have feelings and emotions as well. It is just as much a battle for me as it is for you. I know that you are in severe pain, and that I don’t have and idea how you feel, but the pain that I feel in my heart is sometimes just as bad as yours. I cry deep inside when I see you battle to get up from the couch and extend an arm to pull you up! Everything inside me shatters to pieces when I help you to get dressed. My hands tremble when I take a coke bottle from you to open it, or when I take the kettle and pour the water for your coffee. I don’t mind moving up during the night and sleeping right on the edge of the bed, just so that you can be comfourtable! Just like you, I feel frustrated sometimes! I want to pull you along when you are okey enough to go to the mall with me, I wish that you can just help around a bit more, I want you just to be fine and do what you used to do before you had RA! And the worst is – Very few people can relate to me as there are very few forums for family! My friends don’t understand why I am sometimes just down and tired. I cry in the silence and am strong when I look up to you! It is my responsibility to keep you focused on getting better and occasionally just to get through the day! Sorry for the times that I get stroppy or difficult or frustrated or angry! I am trying but I am only human! I’ve been suffering fatigue so long that I thought it was just a normal part of the disease. However, recently my regular bloods showed a very low level of folic acid and my prescription was increased. For the first time in years, I now have much more energy. Maybe the fatigue is a side effect of the medicines. I had fatigue years before any meds. Course the docs blame it on everything so I lived with it. Then when I hit 30 I knew I was really, really sick. That is when this journey began. Hi everyone. I am new to this forum, but have had RD, for several years. I have to say that the fatigue was the first clue that something was wrong! It was so bad, I could barely hold my head up at time. I did not receive a diagnosis until five years later, when my anti-CCP test was off the charts. It is very frustrating when people don’t understand that you’re not just tired. It’s all consuming, making it hard to function. I also struggle with autoimmune diabetes, sjogren’s syndrome, interstitial cystitis, thyroid disease and a back disorder. I am currently taking MTX, Orencia and prednisone. Enbrel stopped working after about a year. My twin sister and I both suffer from a severe form of RD. I am very lucky to have a husband who understands and is very supportive, even though he has more responsibilities because of my illnesses. He is a warrior too! That’s wonderful to hear about how he is so supportive, Vicky. And it’s good you have your sister to share with too – someone who understands. The best thing I have done is understand everything there is about RD so I know what we can do together to push through this and continue to live a new normal life, thinking of all the fortunate things we have and cherish the good days. Kelly pretty much spells it out for us in the About page; Awareness, Support and Move toward cure. Knowledge is powerful and letting everything go and trust GOD (if you are religious) is how I am handling RD. It is nice to hear that I am not the only one going through this from a spouse perspective. I read absolutely every thing I can lay my eyes on. Last week hubby had a bad week and was admitted to hospital on Thursday – We are in South Africa and his specialist is in Pretoria which is about 70km from our home. It takes a lot from one if you have to drive up and down, still keep the household running and have a full-time job as well. But I realize that I am blessed to have a wonderful husband that loves me to bits and wonderful supporting family that care! I go onto my knees each night and pray for a cure and thank the Lord for giving me the strength and courage to support my husband! When I get the fatigue (which is fairly often), it feels like someone has drained the sand out through my feet. A deflated balloon also describes it. Sure do hate it. You hit the nail on the head with your description of fatigue. I always say it feels like gravity is trying to pull me to the earth. Ugh. My doc never mentioned that my severe fatigue could be from my RA. Hell Im not getting any help from him in the first place. Ive been on over 9 meds as well as infusions and shots. Im so tired through out the day. At night I can go to sleep but I wake up and have had only about four hours of sleep. I dont know what to do. Hi Joe, Maybe you could bring this up with the doctor since fatigue is a hallmark symptom of Rheumatoid and might be important to deciding whether your treatments are working well enough. What does he suggest you try? The only thing hes done is try mixing diffrent meds. it was like tossing darts at a board and see what happens. I told him about the fatigue multiple times and hes never offered any opinions. When it started I asked if I was just out of shape to wich he said no, but never offered any thing else. Im not doing any treatments at this time. He tried to send me to pain management and they refused to help me because of my age. Im 37. I told my rheumatologist that I was extremely fatigued and she told me it might be caused by the methotrexate. She suggested decreasing my dose – and I did try that – but it had no effect on my fatigue. It did, however, increase the pain I was feeling. As I read that fatigue is common with RA, I’m surprised my doctor didn’t mention that fact. Wondering if anyone else has mentioned their fatigue to their doctor? I have spoken to my RH.doctor and my primary care doc. RA by itself brings on fatigue. Methotrexate contributes to fatigue as does Enbrel. So its a bad triangle. I’m 50 and.pre menopausal, working.a stressful full time job and it gets difficult. By Thursday nights, I’m beat. I dont have answers on yhe fatigue other than balance and planning. i too was told that my nodules, my fatigue, my additional “joint pain”, my sleeplessness might be side effects of methotrexate! wtf? i have seen that all of these are standard RA symptoms as well! as far as managing them. i have found that it is all about juggling timing of eating, resting and working (activity). over time. i have found that nothing for extended periods is good. eat smaller meals, sleep for less, shorter errand runs, work in small bursts, etc. learn what works best for you in conjunction with your commitments and family requirements. I feel frustrated and alone when people, including medical professionals, don’t really understand fatigue as different from being “tired”. I remember my late partner, who had MS, as having severe fatigue–and I never did “get it” no matter how much I tried or thought I did–until I experienced RA fatigue. I guess it’s frustrating to realize it’s impossible for others to understand unless they experience it or something like it. So most of the time I just let the comments or “helpful suggestions” from others just roll off my back. I have taken a once-a-week injection, Enbrel, and it has really made a difference. Like you, I have no health insurance. However, I applied to the Enbrel foundation through my doctor, and they provide the medication at no charge. Just look up Enbrel online and you should find the information you can discuss with your doctor. Although I don’t know, it is possible that other RA medications offer similar programs. This has been a godsend for me, and I hope you are able to find a medication that works for you.